A new spot to score burgers and sandwiches has opened up shop in the neighborhood. 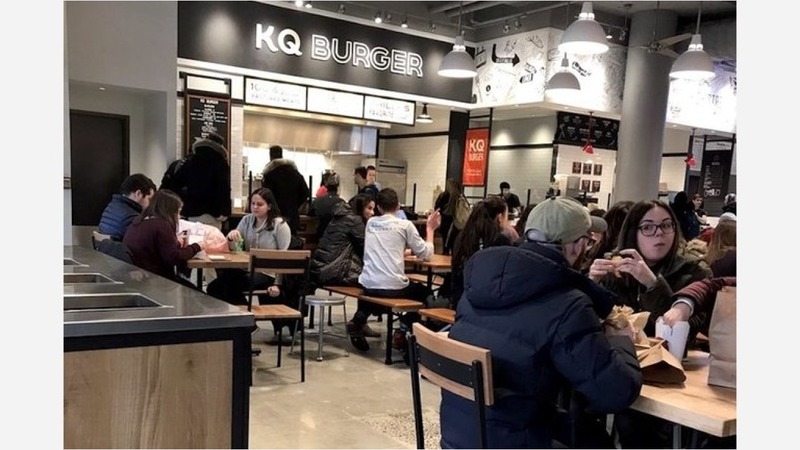 Located at 3401 Walnut St. in University City, the new arrival is called KQ Burger. This new spot--located at Penn's new Franklin's Table Food Hall--comes from Michael Pasquarello, who also runs Fishtown's Kensington Quarters, according to the Philadelphia Business Journal. On the menu, expect to see burger offerings such as the "Smokey" with cheddar, crispy onions and roasted long hots; mushroom with American cheese and 'shroom sauce; and the classic burger with roasted red onions. If you're going the sandwich route, there's a fried chicken sandwich with cheddar, pickles and ranch or a cheesesteak served with chopped onions on a long roll. KQ Burger has made a decent impression thus far, with a 3.5-star rating out of three reviews on Yelp. Marcel M., who was among the first Yelpers to review the new spot on March 12th, said, "Local everything from the grass-fed beef, cheese, fresh house-baked brioche roll and local mushrooms...Huge fan of the Kensington Quarters restaurant and the local love and responsible sourcing." Swing on by to take a peek for yourself: KQ Burger is open weekdays from 11am-8pm, Saturday from 11am-7pm, and Sunday from 11am-5pm.